Chemical Peel’s can very in depth from very superficial to very deep. Post treatment care for chemical peels is dependent on the type of peel, and condition of the skin. Your skin health professional should give you post treatment instructions that are specific for the type of peel you have had. Some peels are so superficial that they cause little to no peeling, and may not require a big change in your skin care regimen. Having a deeper level chemical peel provides a greater level of correction, however it also can create a greater risk for complications. Most complications can be avoided by strict patient compliance, meaning you should follow your post treatment care instructions exactly as instructed. Deeper peels may also require preconditioning, this especially important for darker skin types. 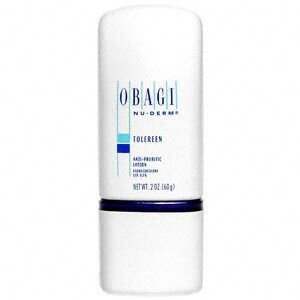 The Obagi Nu-Derm system is ideal for preconditioning skin for resurfacing procedures and chemical peels. Be sure that you have all of the appropriate products needed and do not use any skin care products that have not been approved by your skin health professional. One of the most important things to remember after a chemical peel is to avoid picking, scrubbing or assisting the peel in any way. Treat the skin like you are trying to keep it on. The old dead skin that is about to peel off acts as a protective barrier. If you have caused the skin to peel off prematurely you are at increased risk for complications, including hyper-pigmentation. If you have assisted or accidentally removed the peeling skin prematurely, contact your skin health professional immediately. You may be instructed to apply an occlusive such as Aquaphore to the area’s that have peeled off. You may also need to use hydroquinone and/or tretinoin after the peeling process is complete to prevent or correct complications. Beginning the day of the peel until peeling is complete you will need to use a gentle cleanser. Avoid scrubs, exfoliants and any acne cleansers unless otherwise instructed. This is also not the time to use cleansing brushes such as the Clarisonic, you should cleanse the skin gently. I prefer Obagi Gentle Cleanser after most chemical and laser peels. 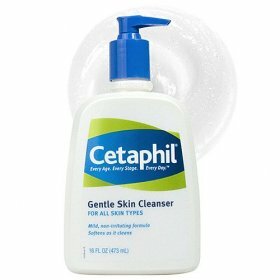 Cetaphil gentle cleanser is another option, and you can buy this product at most drug stores. Use a gentle moisturizer 2 – 4 times a day. Be careful that you do not use a moisturizer that contains exfoliants or irritating ingreadiants after your peel. If you have had a medium to deep peel, you may also be instructed to use a topical Hydrocortisone cream. It is important that you do not over use Hydrocortisone creams, as extended use can inhibit healing. Check with your Esthetician or Doctor before using any products after a peel. Obagi’s Tolereen has a 0.5% Hydrocortisone cream, and can be applied before moisturizer or mixed with in with the moisturiser. 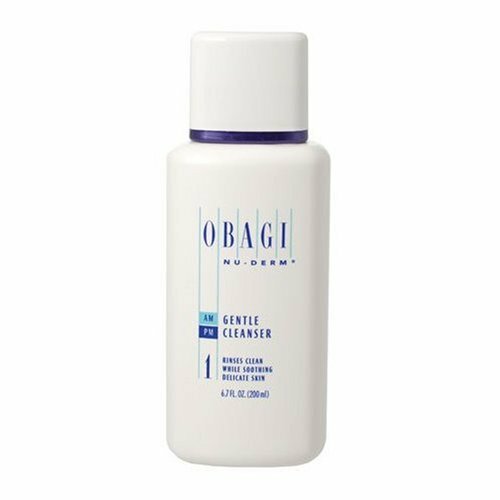 Obagi Action is appropriate after most peels and is generaly my first choice. Skin Medica’s Ceratopic Replenishing cream is ultra hydrating and can be used after most peels. After a chemical peel your skin is more vulnerable to Ultra Violet Rays. You should avoid sun exposure as much as you can, hats and sunglasses are helpful. Depending on the depth of the peel, you may be instructed to avoid sunscreen until the skin has completed the peeling phase. You will find that your skin is sensitive to chemical sunscreens, so look for a physical sunblock that contains zinc oxide. A pure mineral makeup such as Jane Iredale, contains a Titanium Dioxide 14% and Zinc Oxide 3% and can be used immediately after chemical peels, when other sunscreens may not be appropriate. Keep in mind that the depth of your peel will determine when you can start to use sunblock. Herpes simplex infection can occur on the face after skin resurfacing procedures, including chemical peels. A viral outbreak is more common with deeper procedures. You may be prescribed an antiviral medication such as Zovirax to help prevent breakouts. If you do have a history of cold sores or any herpes breakout be sure to mention this to your Esthetician or Doctor before your peel. Many skin professionals prefer to treat all patients with antiviral agents regardless of a positive history. Don’t be insulted or embarrassed if you are prescribed an antiviral medication, it is often standard protocol. It is important to understand that some people may carry the virus, even if they have never had an outbreak. It is not unusual to see milia or small acne breakouts after deep resurfacing procedures, including deep chemical peels. There are chemical peels, such as Skin Medica’s Vitalize peel that are appropriate for treating skin with active acne. Deep chemical peels should be put off until acne is under control, without any active breakouts. 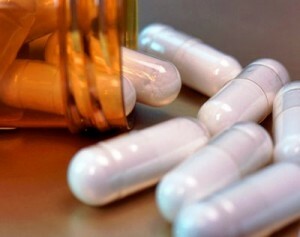 Topical antibiotics can not be used immediately after a chemical peel, so if you have a recent history, you may be prescribed an oral antibiotic. 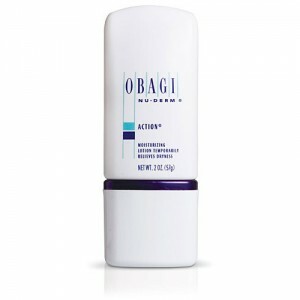 Domeboro Astringent solution is an over the counter product that can be found at most drug store. Domeboro Astringent Solution, when applied as a wet dressing or compress, cools and cleanses irritated skin and soothes inflammation. 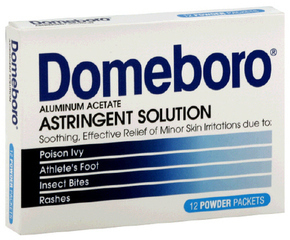 Domeboro contains Aluminum acetate which helps to reduce itching, stinging, and inflammation. Domeboro powder can be mixed with water, the solution is then applied topically as cold compresses to the treated area. I usually recommend using sterile gauze dipped in the solution and gently press onto the treated area for about 5-10 minuets, twice a day. The skin should first be cleansed with a gentle cleanser, after treating skin with the compress solution you can apply an appropriate moisturizer and Hydrocortisone. Generally, cosmetics such as foundation, concealer and powder are not recommended after resurfacing procedures and chemical peels. There are some mineral cosmetics that can be used immediately post procedure. It is important to know that not all mineral makeup is created equal, many are simply mineral based. Jane Iredale is an excellent mineral makeup, that is safe to use after cosmetic procedures and provides SPF protection. Jane Iredale is also antimicrobial and anti inflammatory, offering several benefits after a chemical peel. If you have a deep chemical peel, such as a 30% – 35% TCA peel, Standard or Designed Obagi Blue Peel, you will be instructed to follow additional instructions. Avoid “cracking” by keeping the skin moist and minimizing facial expressions. You can use Aquaphor in the corners of the mouth. Aquaphor can be used if the skin becomes tight or over areas that cracking may have occurred. When you shower, do not let the water strike you in the face. You will also need to sleep on your back with your head slightly elevated. If you have a deep chemical peel, it is important to make follow up appointments with your skin care professional and address any concerns immediately. The first stage of a peel is the peeling stage, this is complete when the skin is no longer peeling and reepithelialization has occurred. After the skin has completed peeling, you may begin a skin care regimen. 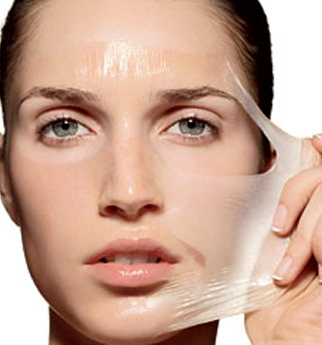 Again, if you have had a superficial peel you will most likely continue with your normal skin care regimen. If you have had a deeper peel, the next stage is when dermal changes begin. You may be instructed to use products like Hydroquinone, tretinoin and a good sunblock. You should avoid exfoiliating treatments and products for about 6 weeks, depending on the depth of the peel. This entry was posted on Monday, March 28th, 2011 at 8:49 pm	and is filed under Chemical Peels, Skin. You can follow any responses to this entry through the RSS 2.0 feed. You can leave a response, or trackback from your own site. Thank you very much, these instructions have helped a lot with my peel after care. hi,, does cold water hasten peeling of the skin? I would really appreciate if you could answer this. Good way of describing, and fastidious article to obtain data about my presentation topic, which i am going to present in college. Recently i have used Iq naturals 30% glycolic peel. I left it on my skin just for 3 mins. As that was the first application. And have used the moisturizing cream, that i have bought from the kit. I followed the instructions as it said. But after day 1, I’ve this small white heads all over my face and its been a week since now..they are not residing. I am not sure what went wrong and my skin is NOT PEELING. NOTE: After i have opened the moisturizer container..i found the oil was floating on the top and the cream base was in the bottom..WEIRD..and i still applied it as it said it would help the peeling process..
Now i am not sure what to do with my skin. Can any one please guide me thru this also let me know an alternative for good after peel moisturizer and a Day moisturizer, so that i dont look greasy at Office. First, you want to make sure that the small “white heads” are not actually an infection. 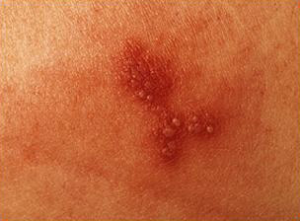 Sometimes bacteria like staph can look like little pimples or white heads. If we assume that it is NOT an infection, I usually like to mix a hydrocortisone cream with a mild moisturizer. you can get an over the count hydrocortisone cream at the drug store, for a moisturizer after a peel I like TNS Ceramide Cream by Skin Medica or Action by Obagi. Avoid anything that has any fragrance or active ingredients(think anti-aging or acne products). I have never worked with this peel or brand and I am not familiar with this company. As skin professional we usually have a good understanding of peels and brands we work with, so I can not say what went wrong. It sounds like the integrity of your product may have been compromised. Be ware of buying products on line as there are counterfeit and compromised products. The moisturizer will depend on your skin type and the level (depth) of peel you had. The fact that the peel is a 30% glycolic does not tell me enough because you can have a 90% buffered glycolic peel that will be less aggressive than a straight 15% glycolic acid. So the glycolic that is in the solution is 30%, but what percent of the solution is made up of glycolic acid and what other ingredients make up the solution? It also matters the volume of solution applied, a peel that is applied with 4cc’s will be more superficial than if the exact same solution was applied with 8cc’s. When we do peels we are also looking for clinical end points that tell us where (depth) we are in the skin. If you are not peeling, then I would guess that the peel is in a solution of some sort and probably only penetrates to the superficial layers of the epidermis. You probably do not need anything crazy, I usually like Skin Medicas TNS Ceramide cream after a peel. You should also know, that what looks like a white head may be acne or it can also be an infection, such as staph. If it progress then see a doctor. Will a 50% tca peel lighten white stretch marks? I’m not ssure what you mean by lighten white stretch marks, how much lighter than white can you hope for. Do you mean you want to lighten them, so they will become white or do you mean they are white now and you want to smooth them out. If they are dark and you hope to fade them you should consult with a skin profesional that can provide you with perscription strength Hydroquinone and Tretinoin. You may also consider an IPL or BBL treatment to reduce reddness. Once the scars are light, you can try microneedling treatments (not at home) which will help stimulate and reorganize collagen. You can only expect mild-modest smoothing of stretch marks. If they are on the breasts, implants may improve the apperance, if they are on the abbdomen a tummy-tuck may help. At any rate a 50% TCA can be very dangerous to work with and should ONLY be used by a dermatologist. That strength is not commonly used for peels, it may be used to burn off a wart or something. The last thing you want to do create another problem. I’m male, 31 years old. on 2002, under my eyes become dark skin. could you please help me how to remove the dark area? I had a strong peel around my eyes 7 months ago and I am still very red and have an odd texture under my eyes. The doctor just keeps telling me that everything will work out, but I am scared. Tried a steroid cream but it made things worse. Can someone help.. I am guessing it was a TCA peel, but could also be a laser peel. Generally we see problems when the skin is removed prematurely, or post treatment care was not well managed or complied with. I usually tell my clients to treat that skin as if you are trying to keep it on, no picking or pulling. The longer you can keep that skin from peeling off the better. Sometimes there may be health or lifestyle issues that impair the skins ability to repair and renew itself, such as smoking, sun damage, menopause, diabetes, poor circulation, auto-immune, poor diet and so on. — Often these problems ( texture and pinkness) do resolve them self with time, however 7 months is a long time. I would only use a steroid cream as recommended by your provider, as it can cause skin atrophy (thinning skin) with extended use. I recommend asking your provider about IPL treatments for the redness and a topical tretinoin cream to improve skin health and texture. Tretinoin works by stimulating the fibroblast in the skin to produce more collagen, elastin and GAG’s such as Hyaluronic acid. It will make your skin dry, flakey and red, which is a normal reaction, but improves the health of skin and skins ability to retain moisture. Vitamin-C helps by reducing some inflammation and strengthening the wall of the blood vessels, so ask your provider about a good C-serum ( I like iS Clinical and Skin Ceuticals) and make sure to get a enough of Vit-C in your diet. I also love the PHYSICAL EYE UV DEFENSE SPF 50 by Skin Ceuticals, it is a mineral SPF, it is tinted and creamy, designed for the delicate skin around the eyes, so it will not sting or burn and can even be used post procedure. The reason I think it may be good for you is because the zinc oxide not only blocks UV rays but also the heat that contributes to the vessels dilating and redness. It also doesn’t use any chemical sunscreens that can irritate. You will like it because it feels great and wears beautifully with makeup, the tint will also help hide the redness. I hope this helps. Hi! I would very much appreciate a kind help on this matter, can I simultaneously treat with a glycolic acid (30%) peel with a topical hydroquinone 5%? I’d like to continously use the HQ5% lotion even during a 6-series peeling treatment using a glycolic acid 30% peel.. Is it safe? I heard GA peels have no downtime, I reckon I need not to take a break from HQ5%? It would depend on if the gycolic is buffered and also the volume of solution applied and the clinical end points observed and skin thickness and conditions. Some glycol peels have no down time while others are very deep and have significant down time. This treatment should be done by a skin care professional that has a great understanding if acid peels and skin. You can’t or shouldn’t do a chemical peel at home, it needs to be done by a professional. If you have acne scars that are just pigmented, you can usually correct that with a hydroquinone / tretinoin regimen available from a medical provider like a derm, plastic surgeon or some med spas. You will probably spend about $600, if this isn’t an option you can try over the counter retinols, but results may be limited. A professional peel will likely run $150-$250, but your expectations shouldn’t be that a single peel will fix the problem. Those peels are best at enhancing and accelerating what you are doing with daily skin care. If the pigment is dermal, which isn’t typical for post inflammatory pigment seen with acne, you might need a dermal peel ( $600-$1000) that you would need to precondition skin for probably 6 weeks. If your peels are depressed like pits, or rolling scars you likely need a deep dermal procedure like laser resurfacing or fractional resurfacing, there isn’t anything you can safely do at home correct depressed scars. Even with full ablative resurfacing 50% correction is considered good. I recommend you have a consultation with a skin care provider like an Aesthetician or Derm. Most Aestheticians offer free consultations, but are not in the business in recommending over the counter products. Scars are improved with treatments that go deep into the dermis. Determining what is considered a medium or deep peel is not something that is generally agreed upon, so we need to talk about depth, in regards to where in the skin it penetrates. Peels that work in the epidermis will not correct scars. You may benefit from a “Designed Blue Peel” which can penetrate to immediate reticular dermis and is done in a medical practice. You should not attempt to do a peel like this at home, or you risk creating more damage than the scars you currently have. Lasers have largely replaced very deep peels, because we can better control depth. Fractional lasers are the gold standard for treating scars, they will remodel collagen. Keep in mind that fractional lasers treat a fraction of tissue which is great because they reduce complications and down time, but they do require a series of treatments. The number of treatments needed will depend on how aggressively the treatment is done, the condition of skin, health and compliance of patient and level of correction desired. With that said it could be between 4-12 treatments. It should also be noted the scars are not 100% corrected, with any treatment, 50% correction is considered good. —- Please, do not be one of those people we see that severely damages their skin by, buying questionable acid products on line and attempting to do a medical treatment at home. I had a jessner peel a few days ago. My face is handling it fine but my neck has been very itchy, red, irritated, and now very crusty with cracks and some of the cracks have raw skin showing. Will this cause scarring? I have started using aquaphor to minimize the problem. Sorry, I didn’t see your comment sooner. Non-facial skin (including neck) has a slower turn over rate than the face, so it tends to be more sensitive and takes longer to recover. Crusting and cracks should be avoided. Was this performed by an aesthetician at a medical practice? Did they prescribe you a steroid cream or give you any post peel instructions or products? 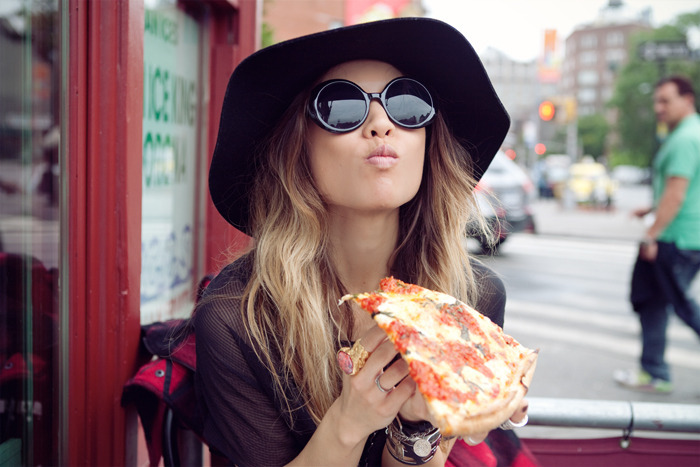 All peels come with inherent risks, which include hyper pigmentation, hypo pigmentation, infections and scars. Typically there is a lower risk with a standard jessner peel, but if a large volume was applied, the skin is atrophied (thin) or the acid did not come from a trusted source that could be an issue. Often complications are seen because the skin peeled off prematurely, like it was picked, pulled or rubbed off too soon. Even letting it get too soggy/ wet like in a bathtub could cause it to come off too soon. If you haven’t already, I recommend you follow up with your skin care provider, any information here or on anysite is just for information purpose and does not replace medical care or in office treatment. Immediate post peel care can reduce probability of scar. Itching is not uncommon and an over the counter hydrocortisone cream may help. Usually, the skin will darken and feel tight and dry, I describe it like the skin on a roasted chicken, then it separates and peels off. When you say crusting, I picture skin that is weeping fluid and creating a crust, this reaction needs to be assessed by your provider. Cracking should be avoided, this is usually because the skin is tight and appropriate post peel care was not followed, letting the skin get too dry and it cracked. Actual “crusting” and cracks are not good, typically aquaphor or occlusive is recommended, but you should return to your provider ASAP when this happens. They may want to prescribe a topical steroid or silvadine cream, also an anti-viral may recommended to prevent herpes breakout on facial skin. Post inflammatory hyper pigmentation ( skin darkening) could occur and can be corrected, scaring is not common but can occur. Some of things in this content I can’t accept. good salaries to do the work. Just how is this keep happening? Due to the fact that no one care. Great instructions, thanks for sharing this!